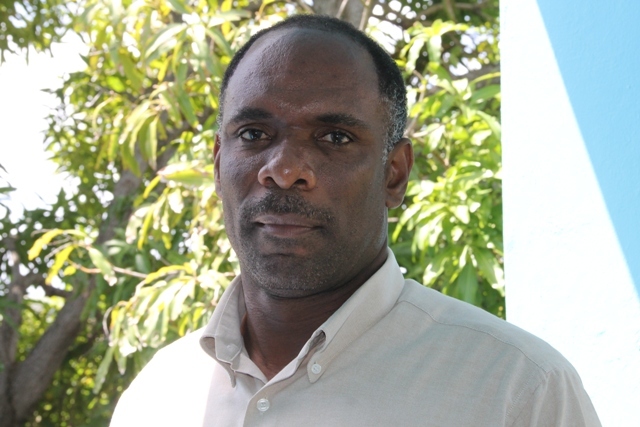 NIA CHARLESTOWN NEVIS (MARCH 21, 2017) — Colin Dore, Chairman of the Nevis Air and Sea Ports Authority (NASPA) Board of Directors, says he is pleased with recent investments at the Vance W. Amory International Airport in Newcastle. His comments follow the completion of an EC$2 million rehabilitation project at the facility, funded by the St. Kitts Nevis Sugar Industry Diversification Foundation (SIDF). Dore noted that the project is in keeping with the operator’s standards and to meet with those set by international aviation authorities. “We completed the first phase which is the landing point where we replaced a few meters of asphalt. This was necessary because over the years, wear and tear on the surface has made it really difficult and was creating some problems for aircraft landing. 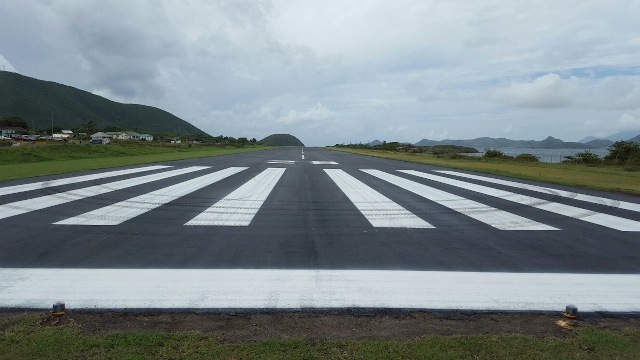 “Also, at the end of the runway, where over time most of the asphalt had disappeared and was almost in a state of being a gravel patch on that end of the runway,” he said. Dore thanked the SIDF for its assistance. He said the work done at the airport is all in an effort to ensure the airport remains a facility which stands up to the requirements of the various international aviation authorities who inspect the facility from time to time. Another recent addition to the airport, is the installation of a US$430,000 modern Voice Command and Control System at the Air Traffic Control Tower. The equipment was also purchased with funds from the SIDF.